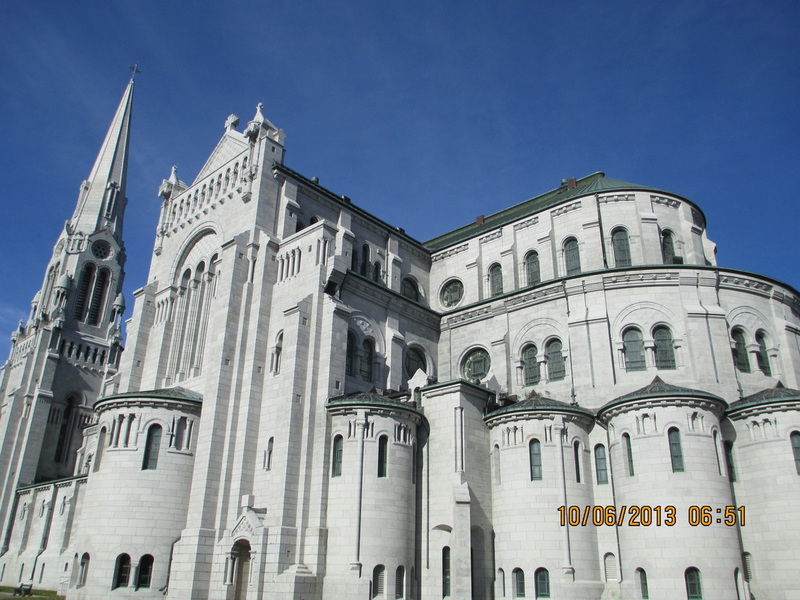 The Basilica of Sainte-Anne-de-Beaupré is set along the Saint Lawrence River and twenty miles northeast of Quebec City. 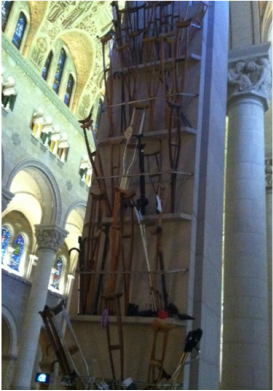 It has been credited by the Catholic Church with many miracles of curing the sick and disabled. 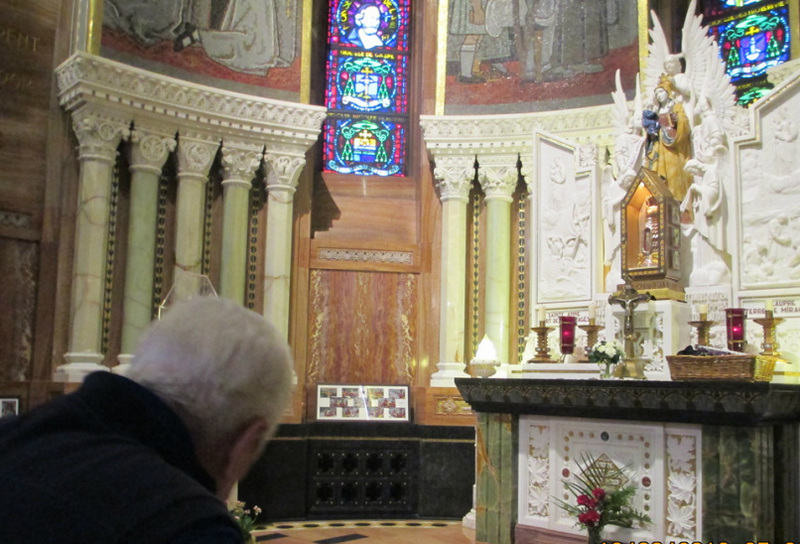 Land was first donated in 1658 for a shrine to honor Jesus' grandmother, Anne. 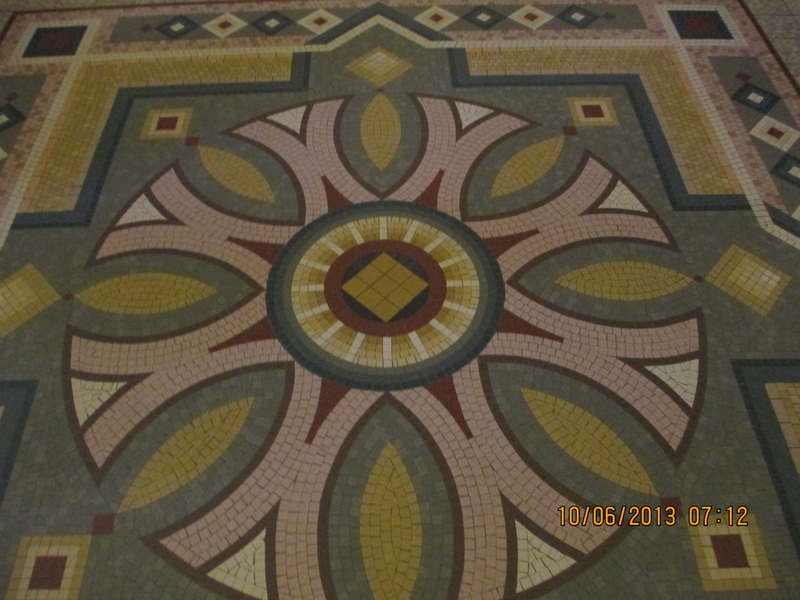 Because of the popularity of the shrine, the building was enlarged several times to accommodate all the pilgrims. 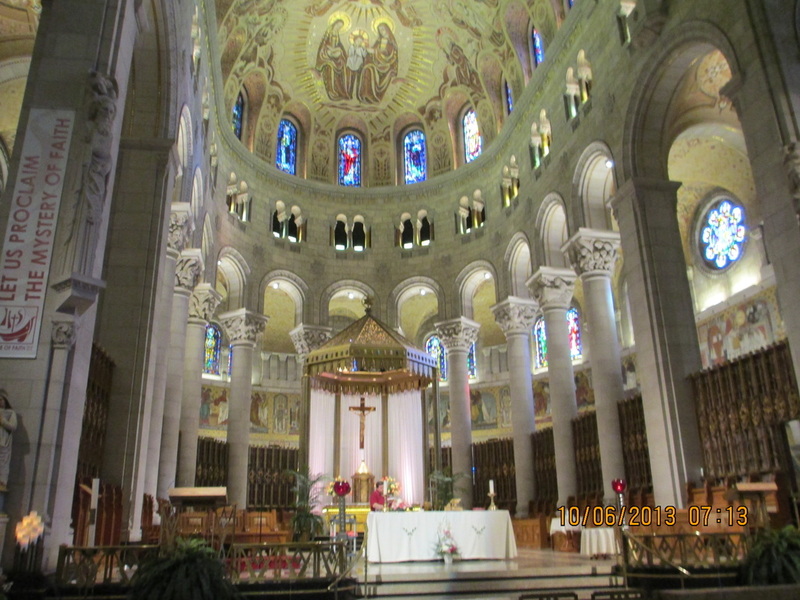 In 1876, the first basilica opened for worship. 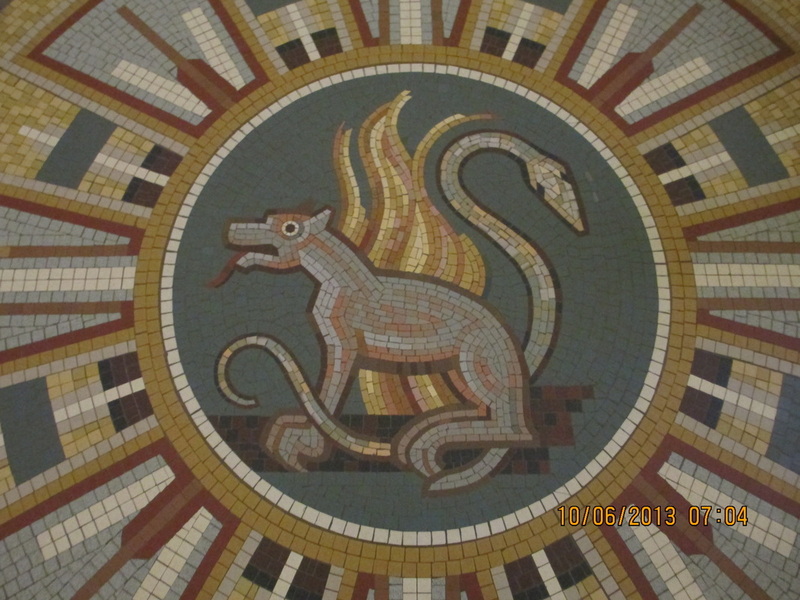 The original basilica was destroyed by fire in 1922. 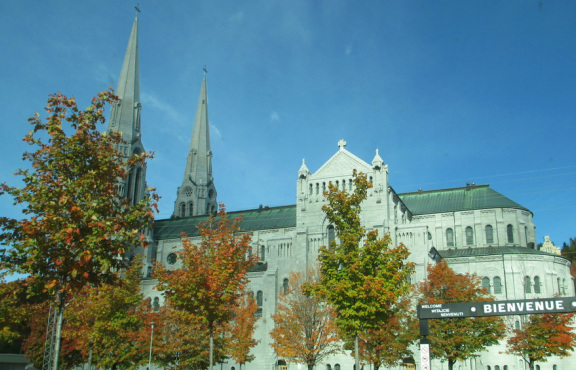 The basilica was rebuilt in 1926. 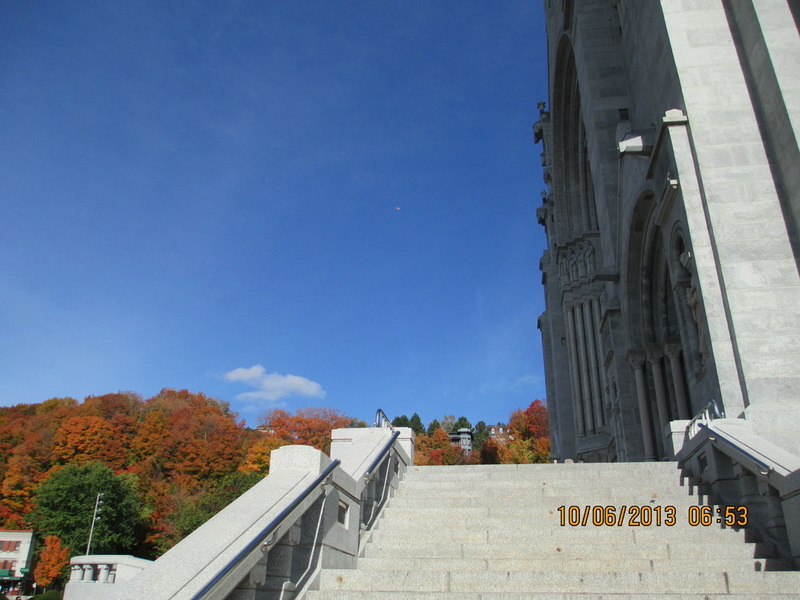 What a thrill to stand on the grounds which my grandfather, Stanislaus Morin (1862-1929) visited. 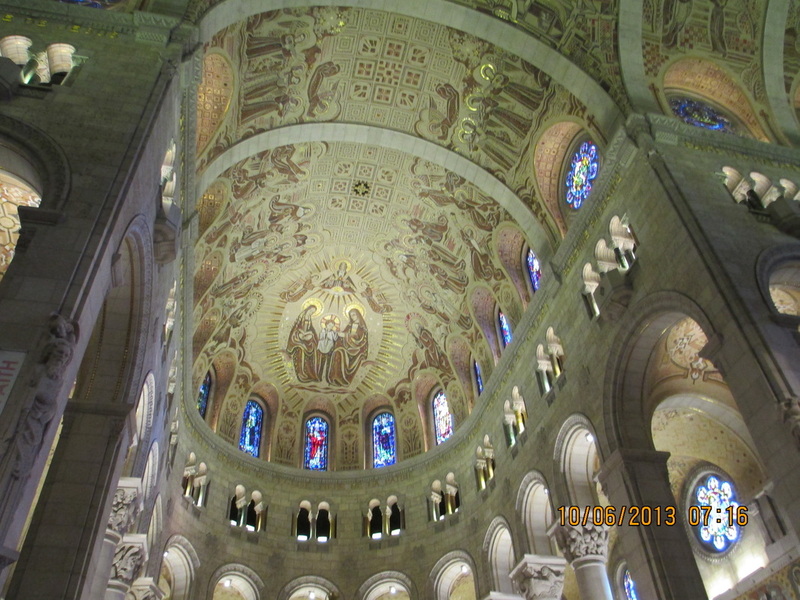 My mother, Olive Morin (1914-1985) Roy recalled her father telling of the Basilica. She visited as a widow around 1980. 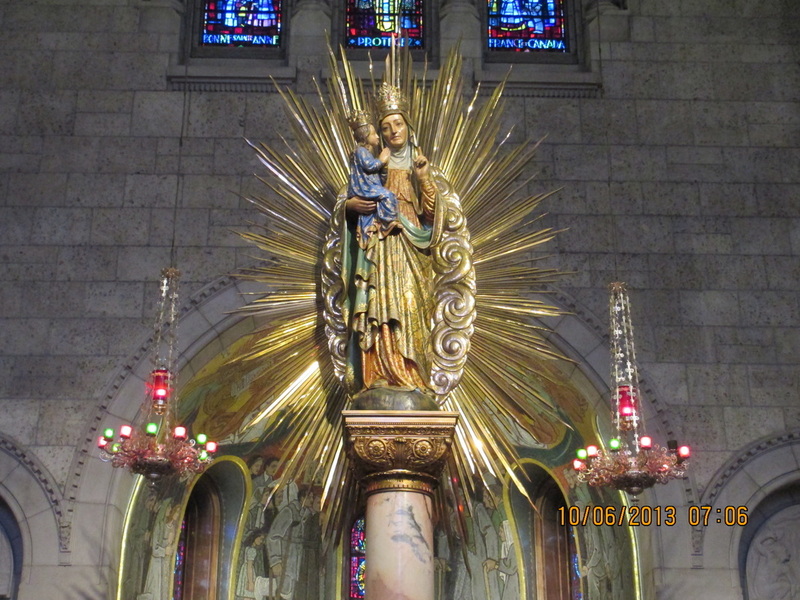 Sister Veronica Roy wrote in the genealogy book, Ma Famille, "Stanislas spoken often of wanting to return to visit St. Anne de Beaupre shrine. 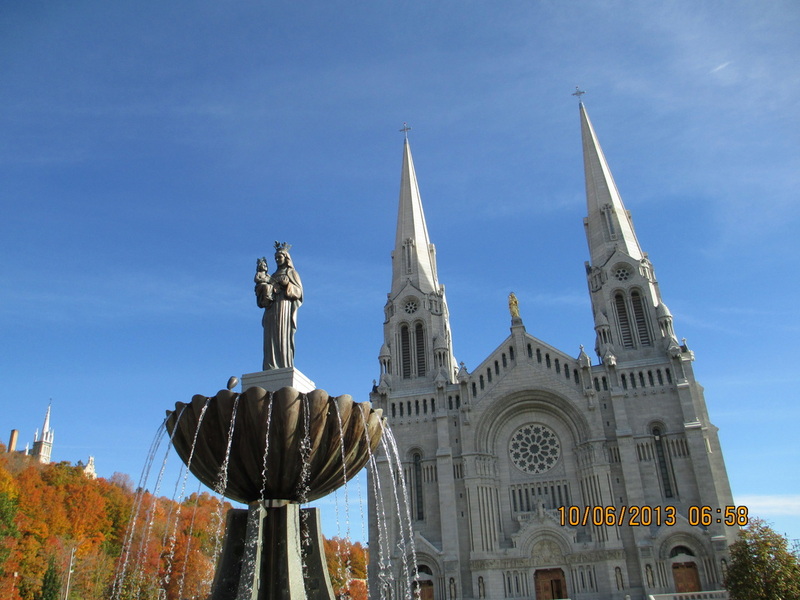 It is known he did return for one visit and to his home at St. Francis, Montmagny County, Quebec. 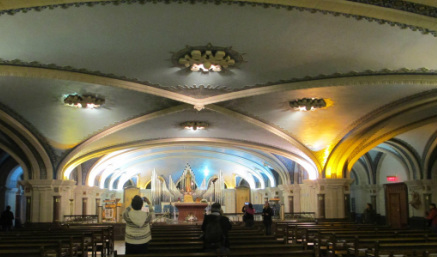 The crypt church under the Basilica. Note how low, but comforting the ceiling is. 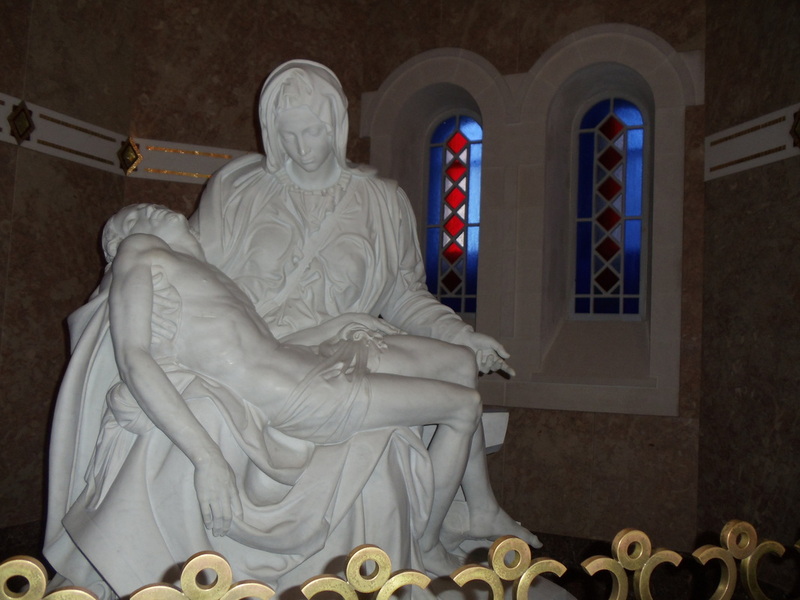 The Basilica of Sainte-Anne-de-Beaupré is a major Roman Catholic place of pilgrimage and has a copy of Michelangelo's Pietà (the original is in the St. Peter's Basilica in Rome). 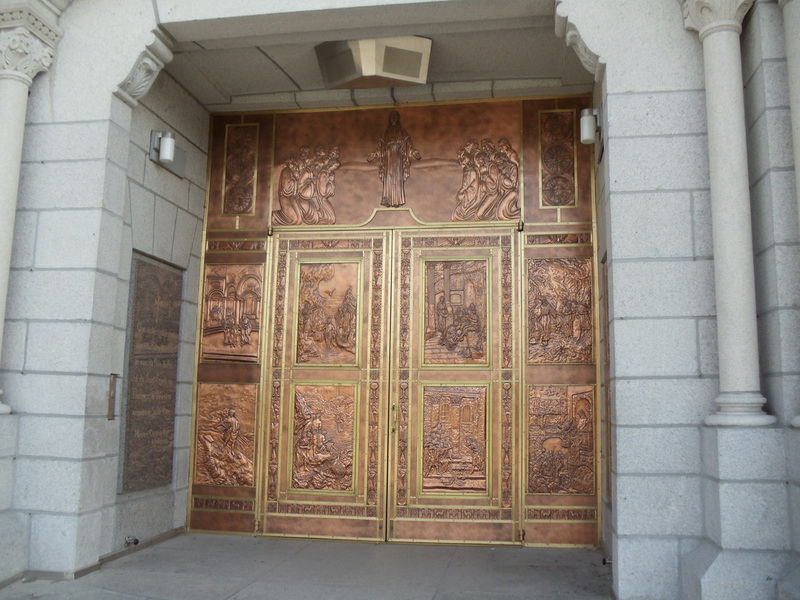 The heavy front doors are clad in intricate copper-bronze reliefs of biblical scenes. 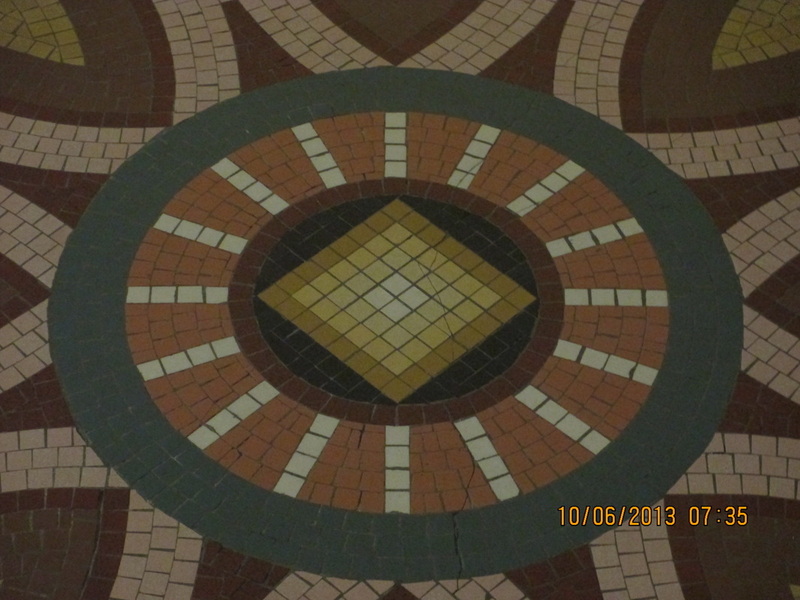 Even the floor has a story. It reminds us of our own limitations. 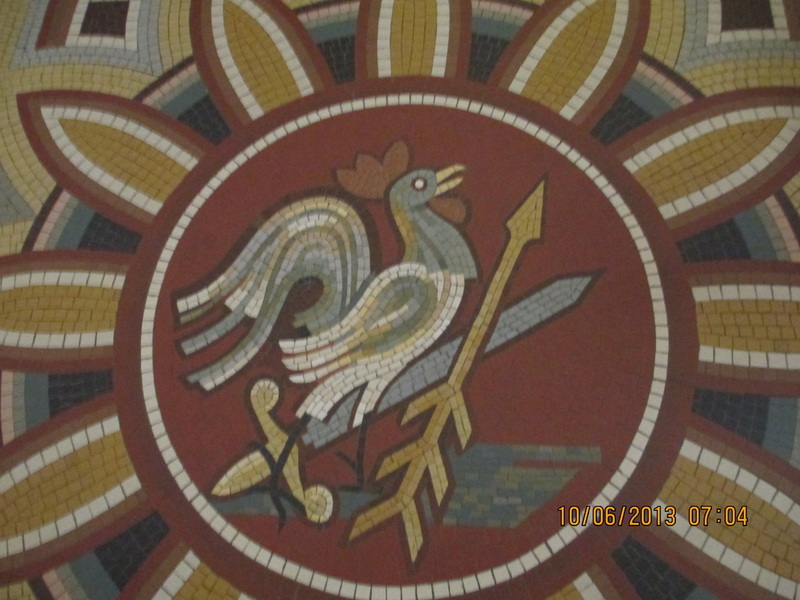 The three concupiscences are depicted as you enter the central nave: honours, riches, and pleasures. In themselves, they are not bad things, as long as we use them in moderation. 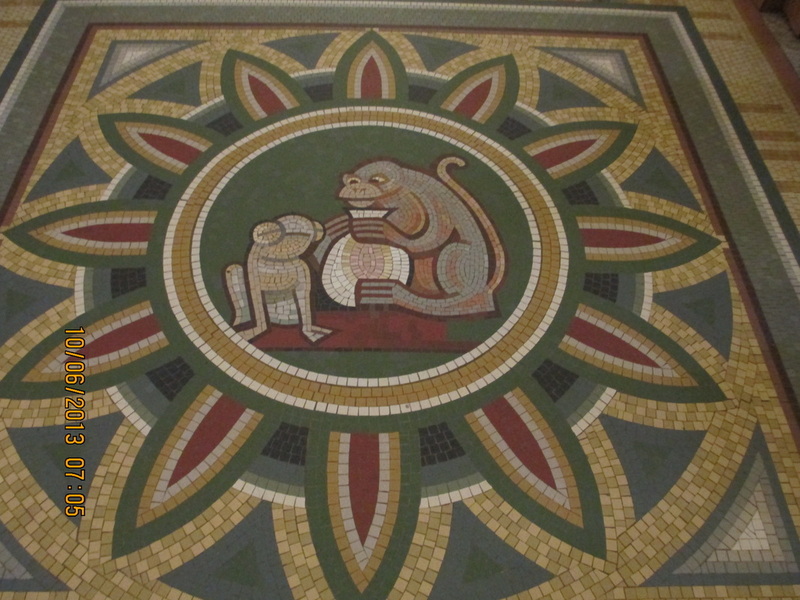 In the center aisle, the seven capital sins are represented by various animals.